Bacardi Oakheart is a tribute to the legendary and modern day adventurer. It honours their core essence. A fierce loyalty, stout-heart and unwavering resolve, these timeless quantities, backed by over a century of Bacardi tradition, are reflected in the robust taste of Oakheart. A smooth spiced rum with a hint of smokiness that stands up to any challenge. Rich and oaky with hints of smoke and background notes of dried fruit often associated with whiskey. A robust flavour that stands up to any challenge with a one-two punch of maple and honey followed by vanilla and caramel. 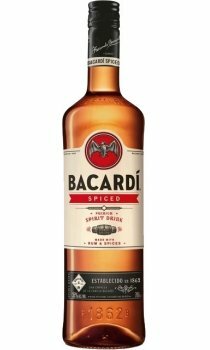 Slightly sweet and peppery with a noticeable rum kick.